Hunt will begin at 10:00AM sharp, so be there early to register for prizes – please by 9:45. While the hunt is outside, you will be inside until 10:00. 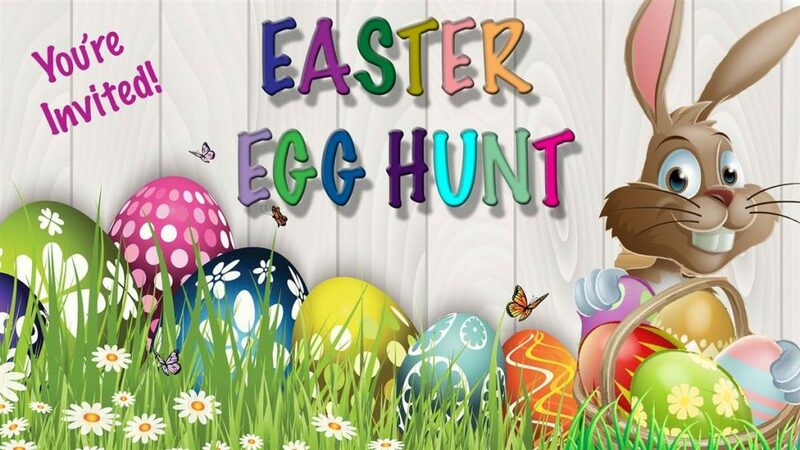 During your wait time, there will be a craft to make, cookies and coffee, and photo opportunities with the Easter bunny! There will be about 5,000 eggs to find. this event is for ages 0-12 and the age groups will be separated, Ages 0-3, 4-8, and 9-12. Hope to see you there!